Airplanes capture the imagination of everyone young and old. These airplanes are small enough to fit in the hands of your small child. The propeller actually turns and lets your child's imagination soar. The planes measure approximately 3" long and 2-1/2" high. 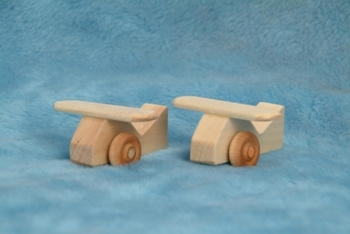 These planes are made from solid Aspen, sanded smooth and finished with mineral oil.